What is the Thyroid Reset Diet? This guide contains a small portion of my 60 Hormone Mastery Guide if you like what you see here you can find more information about the complete guide here. ​The full guide contains a step-by-step walkthrough for 60 days and includes recipes, shopping lists, supplement guides, weight loss guides, and detoxification guides - ALL designed to help improve your thyroid function naturally! Did you know that lifestyle factors (1) like what kind of food you put in your mouth, how much stress you have, how much you sleep and how much you exercise all play a major role in your overall health? If you ask any Doctor if the foods that you eat or don't eat are important for reversing disease, they will all unanimously agree. ​And that is the problem. This Guide is designed to get you from 'couch to 5k' but with your thyroid! So even though I may not be able to see everyone in my clinic, I can definitely give you the tools to help get you started. Speaking of that, let's dive into the nitty-gritty. I broke down the 4 most important categories when it comes to healing your thyroid and boosting metabolism and expanded upon them below. Real, Whole food that you should focus on eating. If it doesn't look like food, don't eat it! Eat real whole food. Period. If it has more than 1 ingredient then don't eat it. If it doesn't pass the eyeball test then don't eat it. ​You should be able to easily look at food and determine if it was made from a plant, or in a plant. In addition, there are a couple of No-No's that every Thyroid patient should be aware of. When you restrict calories your body thinks you're in a state of starvation, and in order to preserve energy it increases the production of Reverse T3 and reduces T4 to T3 conversion. As little as 25 days of calorie restricted dieting can reduce thyroid function (3) by up to 50%. Low-fat is synonymous with high sugar. Not only that but low-fat diets have never been shown to cause sustained weight loss. ​Remember that foods high in sugar may ultimately cause insulin resistance and lead to further hormonal imbalances. Insulin resistance (and elevated insulin levels) are notorious for causing Thyroid Resistance and increasing Reverse T3 levels. 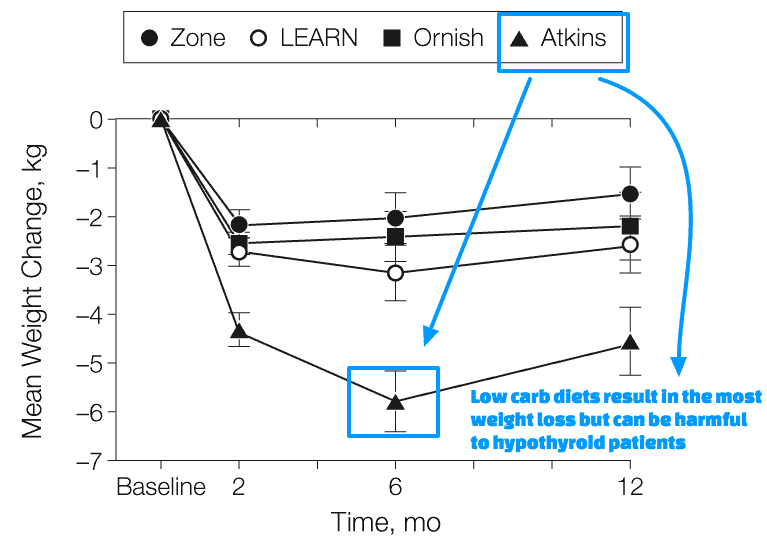 While it is true that low carb diets do cause the most effective weight loss (4), they can potentially cause worsening fatigue in some hypothyroid patients. ​That doesn't mean you necessarily need to avoid them completely, but it does mean that you should only start this kind of diet if the person recommending it understands how carbs influence energy levels and adrenal function in thyroid patients. People suffering from thyroid problems do much better on a moderate carb diet - around 20-30% of calories from carbs is a good starting point (and what you should focus on for these 10 days). 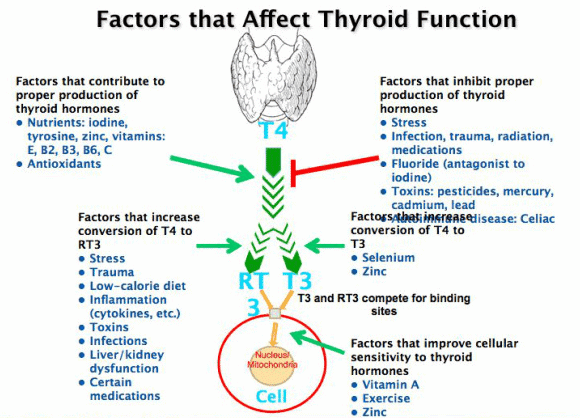 Goitrogens are compounds that limit thyroid function and production by limiting the amount of iodine the thyroid can take in (5). These goitrogens are found in both the environment and in foods and may play a role in how you are feeling. Foods that contain goitrogens (you can find the list below), typically do not cause many issues for the majority of people suffering from thyroid problems. But, to be safe, you can limit your exposure to goitrogens in the foods that you consume by steaming them before you eat them. This tactic will limit the total amount that your body is exposed to. While it's theoretically possible to cause thyroid dysfunction as you consume even healthy foods, in the practical world the risk of this happening is very slim. Cruciferous vegetables (Bok choy, Broccoli, Brussel sprouts, Cabbage and Cauliflower), and some other foods - peaches, pine nuts, pears, soy milk, soybeans, etc. Quick Tip: Steaming foods that are high in goitrogens actually limits the active goitrogenic compounds in the food. If you are sensitive to goitrogens make sure you don't eat these foods raw. Exercise is another important area that requires some special considerations for patients with thyroid problems. ​You have to remember that exercise is a stress on your body. And if you have a sluggish thyroid your body can't necessarily tolerate that stress. In my practice, I've found that some patients aren't exercising at all due to extreme fatigue (which isn't good) and those that are exercising tend to be over exercising thinking it will solve their weight problem (which also isn't good). Exercise is kind of like Goldilocks, too much is a bad thing and too little is also a bad thing. ​Not only that but there are some distinct types of exercises that thyroid patients should be doing to boost their metabolism. 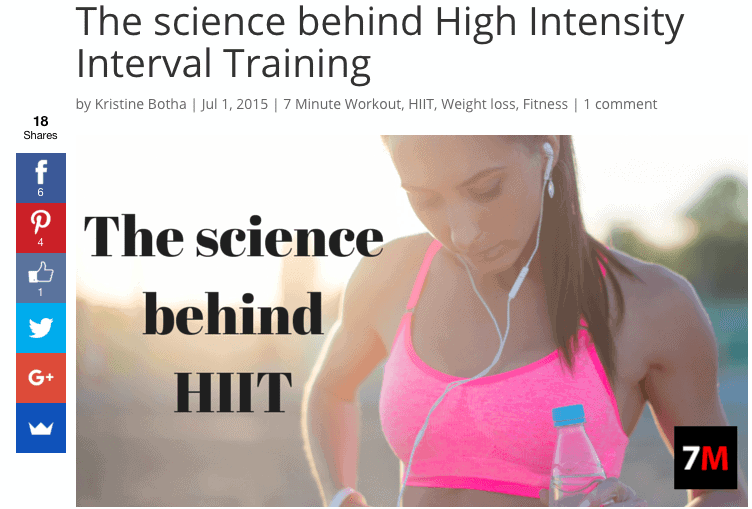 Before you add high-intensity interval training into your regimen make sure your thyroid medication is optimized (if you are on it) and make sure your adrenals can tolerate the stress. If you are still experiencing crushing fatigue it's best to focus on low-intensity and skip high-intensity exercise in the beginning. This type of exercise should not be excluded! Science has shown that 1 hour of walking per day is enough to reduce your risk of ​premature death by 39%. Not only will it help you live longer but it is also critical to boosting and maintaining your metabolism. The goal here is to keep you moving constantly throughout the day. Have you heard of cycle synching your workouts? 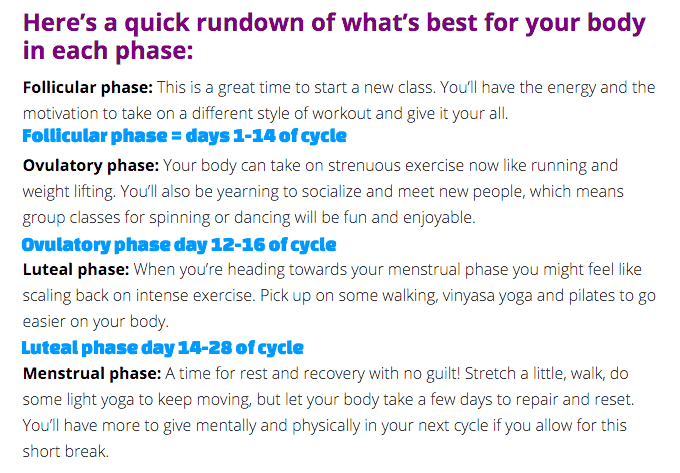 Throughout a woman's cycle, her hormone levels fluctuate on a daily basis (I'm sure you know this already! ), but what you may not know is that these hormones can influence your energy levels, metabolism, appetite and even your desire for exercise. For instance - at the beginning of your cycle you will have more energy as testosterone, estrogen, and progesterone are in relative balance with one another. This means that you should focus on moderate intensity and longer workouts. Compare that to the ovulatory phase when testosterone levels peak and estrogen is increased - you will have the power and energy to do more strenuous exercise like lifting weights or doing high-intensity exercises. ​The focus of supplements during this 10 Day Thyroid Reset is to boost conversion of inactive T4 to the active T3 hormone. This is accomplished by providing your body with the critical nutrients involved in the conversion process, and also by improving gut health which is involved in both converting thyroid hormone and acting as a reservoir (7) for stored thyroid hormone in the body. In addition, I've never found a person in my clinic who isn't suffering from Adrenal fatigue to some degree due to the constant low-grade stress that we all deal with on a daily basis. Healing your adrenals will help thyroid do its job and provide you with a boost of energy during this 10 day reset. The following supplements have been tested on hundreds of patients with thyroid problems in my clinic and they are far and away the most potent and powerful of supplements that I've used. ​Healing Adrenal Fatigue is such a huge part of treating the thyroid that it simply cannot be overlooked. The adrenals and the thyroid work in synergy to create your energy levels and your baseline metabolism. We've known this as far back as the 1920's (8). Further studies have shown that Hypothyroidism causes direct dysfunction (9) in the Adrenal Glands themselves - resulting in symptoms of fatigue which may manifest as the condition of "adrenal fatigue". 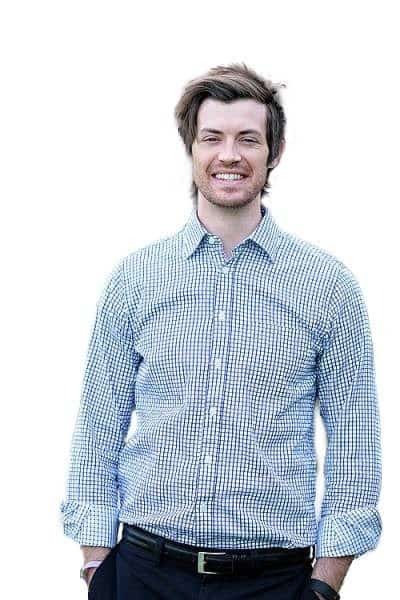 My experience in working with patients is that healing the Adrenals is required in order to achieve optimal results. I've also found that all other supplements and treatment seem to be more effective when also targeting the adrenals. Contains activated B vitamins and other adrenal nourishing vitamins. Contains both adaptogens and adrenal glandulars. Rapid Acting (Usually works within weeks). No allergenic fillers, dyes, preservatives, gluten, dairy or soy. 2 capsules per day (either 2 in the morning or 1 capsules in the am and 1 capsule before noon). Can be taken with or without thyroid medication (but if using it with thyroid medication make sure to take this supplement 30-60 minutes after you take your thyroid medication. Can be used in those with a thyroid or without a thyroid (either from RAI or from thyroidectomy). Can be taken with meals or by itself. Zinc is one of the top 5 most common nutrient deficiencies I see in patients suffering from Hypothyroidism and Hashimoto's. If you're curious about the other 4 nutrient deficiencies you can read about them here. Zinc boosts immune function (10) (Especially helpful for those with Hashimoto's). Zinc is a powerful anti-inflammatory (11) agent. Zinc boosts cell-mediated immunity (12) helping to reduce autoimmunity. And finally, Zinc plays a role in reducing oxidative stress (13) and chronic inflammation. Using Zinc is a no-brainer when you have any sort of thyroid problem and should be a pivotal part of your nutrient regimen! Using the right type of Zinc and getting on the right brand is very important. Remember that not all supplements are created equal, because of this I recommend using either zinc-picolinate or zinc-citrate because these have been shown to have superior absorption (14) compared to other cheaper formulations. Zinc tends to work well when coupled with Selenium (more on Selenium below) due to how they both work in your thyroid gland. Because of this, I recommend a product which contains both Zinc and Selenium. May help promote T4 to T3 conversion. Also involved in thyroid hormone cellular sensitivity. No Allergenic Fillers/dyes or additives. Look for Zinc that is coupled with Selenium for enhanced results. Selenium is another important player in the T4 to T3 conversion process as well as the creation of thyroid hormone in your thyroid gland. Selenium forms a portion of the certain enzymes that catalyze the production of thyroid hormone. These proteins are known as selenoproteins and they are in several areas of the body. Without adequate levels of Selenium (and Zinc), these proteins may not work properly which may lead to decreased circulating thyroid hormone and decreased thyroid conversion. Selenium (like zinc) is a powerful anti-inflammatory agent and, when supplemented in healthy doses, may help reduce autoimmunity and inflammatory mediators (15). This is super important for all hypothyroid patients! Because it's estimated that over 70-90% of patients with Hypothyroidism in the United States have an autoimmune thyroiditis, whether your antibodies are elevated or not. If you have hypothyroidism there is a 70-90% chance it is caused by an autoimmune disease. That is why I recommend that Hypothyroid patients undergo a trial of selenium supplementation. This trial may help to promote more thyroid hormone, may help reduce autoimmunity and even antibody levels (16), and carries a very low risk of causing any harm. Couple that with the fact that it may help boost T4 to T3 conversion (17) and Selenium supplementation becomes a no-brainer for almost all thyroid patients. *Note: Selenium tends to provide superior results when combined with Zinc, for this reason, I recommend using them together in 1 supplement. Selenium may help promote T4 to T3 conversion. Helps protect your thyroid gland from free radicals. May help improve immune function and reduce thyroid antibodies. Many patients are deficient in Selenium. Can be taken with or without thyroid medication. 50 to 150mcg per day of Selenium is ideal (but do not exceed more than 400mcg per day). Use in combination with Zinc-Citrate or Zinc-Picolinate. Undiagnosed gut imbalances are probably the most overlooked and under-diagnosed conditions found among thyroid patients. And this is a terrible situation, considering the importance the Gut plays in thyroid hormone metabolism. If 20% of Thyroid Hormone is converted in the gut (18) and you have a gut imbalance (SIBO, Yeast overgrowth, Reflux, Dysbiosis, Leaky Gut, etc.) then the inflammation from this condition may limit your conversion process by 5-10%. If you have Zinc or Selenium deficiencies in your body that can further reduce whole body conversion by another 5-10%. Now let's assume you have Insulin Resistance, Leptin Resistance or that you take Anti-Depressants or other thyroid conversion blocking medications. Now you're set up to have another 5-10% reduction in conversion. Each of these alone wouldn't make a big difference, but, when you start stacking them up, all of a sudden you have a 15-30% (or more) reduction in T4 to T3 conversion in your entire body! This doesn't even take into account the fact that inflammatory conditions (like Insulin and leptin resistance) cause Thyroid Resistance at the cellular level. This is why you simply cannot ignore nutrient deficiencies, inflammation or gut imbalances. Thyroid patients are susceptible to a number of gut imbalances because of how thyroid hormone functions in the gut. Thyroid hormone helps increase intestinal peristalsis (19) (the natural movement of the gut) and it also helps the body regulate the amount of stomach acid (20) needed for digestion. The most common imbalances I see in Hypothyroid and Hashimoto's patients include Small intestinal bacterial overgrowth (SIBO), Yeast overgrowth (21), Acid Reflux/GERD (22), Intestinal Dysbiosis, Leaky Gut, and Irritable Bowel Syndrome. I've found that unless these imbalances are treated your thyroid will NOT function at 100%. That's why I've included some basic gut health recommendations in this Thyroid Reset Diet. Because certain gut imbalances are so common in Hypothyroid patients I don't recommend jumping into any random probiotic to try and improve your health. Certain types of probiotics are better than others and certain strains of probiotics have been well-studied and shown to be effective in clinical studies. If you stick to these guidelines then you can be sure you are getting a high-quality probiotic and one that will actually be effective. The right probiotic may help improve your intestinal tract (23), reduce inflammation (24) and even promote weight loss. High Microbial Diversity (18 Strains of Bacteria). Clinical Studies showing the efficacy of multiple strains. Ultra high potency with 350 billion CFU's in each serving. Heat stable packaging and probiotics to preserve potency and increase deliverability. 1 packet daily x14 days for a total of 350 billion CFU per day of probiotics. Use large doses and then transition to a daily probiotic with at least 50-100billion CFU per serving. Combining probiotics with other supplements, diet, and exercise will help with weight loss. Detoxing doesn't just refer to chemicals and toxins (though I will teach you how to do this! ), but it also refers to removing negative thoughts and emotions which have a huge impact on your overall health. ​Did you know there is a magic number of happy emotions you need to have for every negative emotion to really thrive in life? Toxic emotions, toxic chemicals, toxic behaviors, whatever it is, they matter and they have a negative impact on your health. ​Whether you realize this or not, your body comes into contact with chemicals that have to be eliminated by your liver on a DAILY basis. What's worse is that many of these chemicals ​have been shown to negatively impact hormone levels by blocking the effect of hormones at the cellular level or by mimicking the actions of hormones in your body. The Endocrine Society recently published a paper (25) outlining the list of chemicals that are known endocrine disruptors. 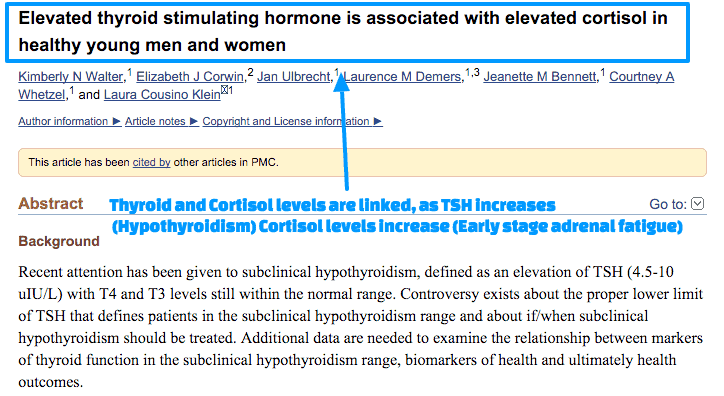 The scary part is that they recognize in their paper that these chemicals alter thyroid function at the cellular level (causing tissue level hypothyroidism) lowering free T3 levels, but the chemicals don't impact TSH levels. One of the best ways to make this reset a success is to find an accountability buddy to help keep you on track! You can make a commitment (as a comment here) or find someone else to do it with you and, by doing this, you will have publicly committed yourself. When you make a commitment public you are much more likely to follow through! For more in-depth information on how to balance your hormones for weight loss please see this post. For more information on how to pick the best diet for you please see this post. If you aren't sure you have thyroid problems you can learn more about how to diagnose your problem here. I'm always updating this post, so if I left something out or you have more questions please comment below and I will do my best to answer! At the end of your 10 days, you should notice a change in your energy levels, how well your brain is functioning and a change in your waistline. And that is by design! Did you use this guide? Did it help you? Are you planning on using it?